Pruning can sometimes feel like an endless activity. Each season brings different plants into dormancy and dictates the best time for pruning. Every gardening zone is different, and some areas actually have laws regarding what time of year to prune certain trees and shrubs in order to protect the species from disease or upset from pests. Removing dead limbs from trees, shrubs and flowers should be done as you notice them, just be aware of the season if you start pruning into living wood. By cutting the dead weight of branches away you open up the rest of the plant to greater airflow and sunlight penetration. Sometimes, when pruning I can almost hear the plant sigh in relief after removing a particularly nasty branch. 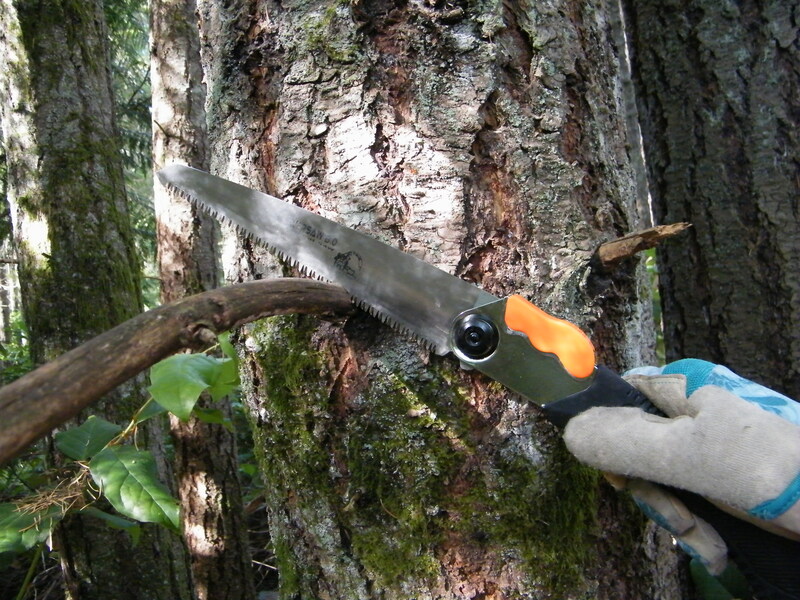 Generally, “limbing up” or pruning off the lower branches from large trees can be done at any point of the year, though we tend to do most of our limbing up at the end of the growing season and not in the spring when the sap is rising. Before you decide that right now is the time to take your folding saw to your azaleas, do some research on your plants. An ill-timed pruning session could lose you blooms for a year or more. But it is generally true, whether you keep an orchard, herb garden, hedges or landscaping trees, your plants could use some pruning attention throughout the year. Below are some great links to help you figure out your timing. When you get to know your plants and your growing zone, you can create your own seasonal schedule! It may be a good idea to keep a log or make an entry in a Note App you maintain to help you remember when the time is right for pruning in your yard.